Roof repair and inspection should always be parts of your spring cleaning routine, and if you haven’t started on it yet, there’s no better time than now. Roofing contractor V. Nanfito Roofing & Siding, Inc. discusses the importance of including your roof in your spring cleaning to-do list. Regular roof inspections complement scheduled professional roofing maintenance because it means someone is keeping an eye on the roof’s condition at regular intervals. The roof is exposed to extreme weather during winter, making it vulnerable to damage. Inspecting the roof during springtime lets you identify and address such damage before it has a chance to worsen. Flashing —These strips of metal protect breaks in the roofing plane such as valleys, skylights and areas where the roof meets a wall or a chimney. If you find displaced or damaged flashing, you will need to schedule roof repair as soon as possible. You should also check the vent pipes and make sure the rubber boots at the base are intact. Roof Edge — The roof edge is the part of the system that bears the brunt of high winds, making it vulnerable to damage. Drip edges are like flashing for the roof edge, and should likewise be in place. The starter strip is the first row of shingles installed onto the roof and is usually installed as a long, single piece. Any damage to this part should be noted and promptly addressed. 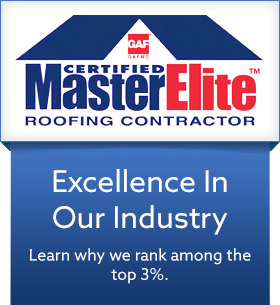 Main Roofing Area — Inspect the general condition of the main roofing area. Asphalt shingles may display signs of damage, such as curling and cupping. Make a note if there are missing or dislodged sections, as these will require repairs. Attic — Climb into the attic and keep an eye out for signs of moisture intrusion, such as water stains and damaged insulation. If you have a hygrometer and a thermometer, measure the attic temperature and humidity levels. It should be more or less the same as the immediate outdoors. If it’s higher inside, your attic may not be getting enough ventilation. V. Nanfito Roofing & Siding, Inc. is your leading provider of roofing repair, installation and maintenance services. Give us a call at (203) 639-1634 or fill out our contact form.